To anyone who reads this and is celebrating Thanksgiving today, I wish you a wonderful holiday. For anyone reading this who is not celebrating Thanksgiving today, I wish you a wonderful day just as much. No sense in keeping the thanks just to Americans, is there? 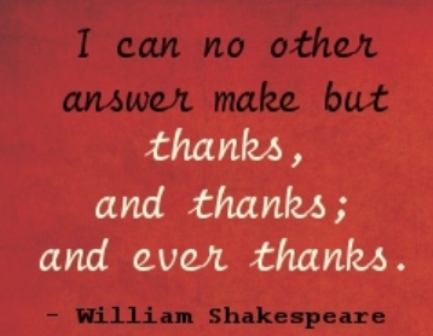 I have a lot to be thankful for, and so I thought I would offer up my thanks publicly today. I've never done this on the blog, so I hope it comes across in the spirit in which it is intended - that's a spirit of gratefulness. I am blessed with a kind, loving family and wonderful friends. I work at and am thankful for a job I really enjoy, and of course I am thankful for the time I spend on my photography, the fruits of which you find here on the blog each week. I am thankful for my health and the health of those around me. I am thankful that I have a place to call home, especially when I have been traveling. It's always nice to have a place to call home. The road can be weary. I am thankful that I have this blog, which is a passion of mine. I love to shoot and share and write about it, and will keep doing so. It's not much of a contribution to the betterment of the world, but it's a little bit that I can do every week, and I hope that in some small way it helps. I sure think our world needs every bit of help there is. And I am thankful that people show up and read this little blog of mine. It's not a lot of people, but that's ok and doesn't keep me from wanting to continue to do this. I simply love taking the photos, processing the photos, and writing about and sharing the photos way too much to quit. So I am grateful for that as well. Thank you for listening, and enjoy your day.